Location: Building opposite side opposite to Wat Yan Nawa. Getting there: Take the BTS Saphan Taksin station, then coast down to Wat Yan Nawa. Stores are located across Hours before the temple (near The Pizza). Wandee Noodle Shop is a store that sells meatballs water. The shop is still preserved so well the old wooden table. And a round table. Evoke childhood Furniture familiar with these chores. Open Air will have a table to sit around the table with eight seats will be in the store. The weather is very hot The menu of the restaurant would be. Noodles water It is just meatballs and fresh meat to eat with arbitrary lines. 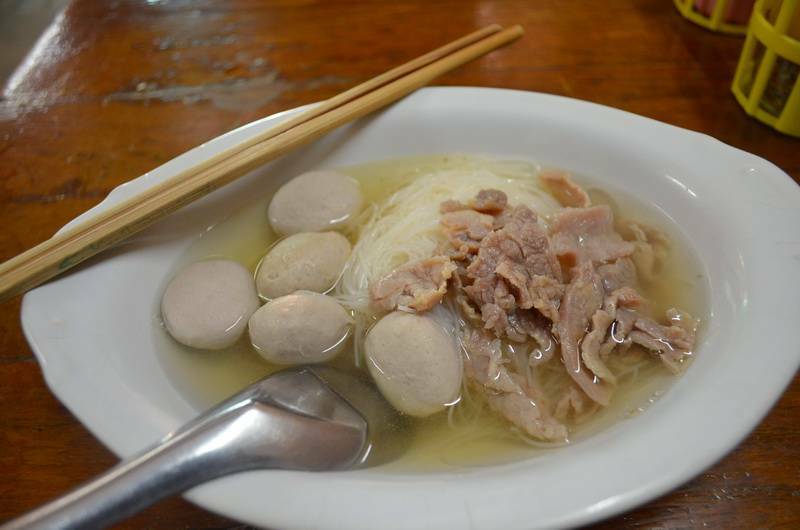 The price for a bowl of noodles, it is only 30-35 baht per dish.